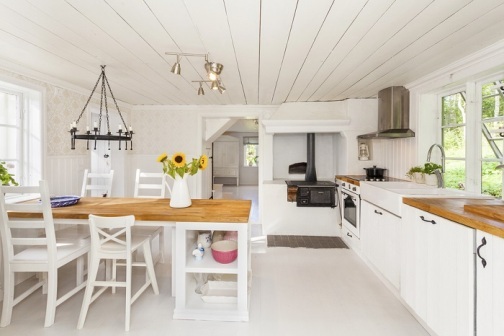 How To Find The Best Features Of A Country Kitchen For Your Home? 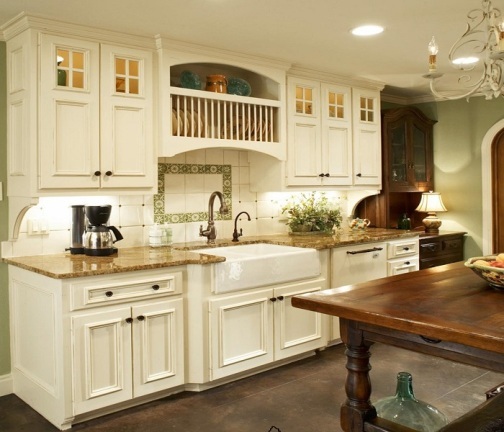 Country kitchens are the best ways to decorate and renovate your home. If you want a great combination of modern and traditional décor for your kitchen, then you can opt for the country kitchens, after consulting professional kitchen designers. Open shelves, hanging racks and hooks, bright colors and contrasting shades of light are the various features with which you can get the most desirable look for your country kitchens. Placing of appliances and keeping utilizing the kitchen space to the fullest, are the ways in which you can maximize the utility of the kitchen. In the modern days the home designers gave vital importance to the improvement of this area of any home and at present, they have come up with a number of designs that can impress the visitors with its ambiance and glory. There are many areas which are important from kitchen point of view. Hence one must first understand what the facilities are one must have in a kitchen. The ample space for cooking and perfect accommodation for a number of appliances used in kitchen is the precondition for any kitchen design. A kitchen also has a lot of requirements other than just the space for the items and storage. There must be proper lighting and ventilation so that the home manager can work here with great comfort. Yes, the importance of proper electric points to run various appliances cannot be ignored and therefore there must be a plug point for refrigerator, oven, blender and water purifier. The tiles used must be such that can be easily cleaned and do not look dirty under any circumstances. There must be proper lighting facilities so that one can prepare the food at night also. The storage facility is needless to mention as it is inevitable for every kitchen. The platform must be at reasonable height and enough in width to keep the things and work. There must be facility for a good sink with a beautiful tap so that cleaning utensils and vegetables becomes easy before and after cooking. There must be sufficient space so that even if two people want to work simultaneously they can do so. There must be chimney and exhaust facilities so that the user can be saved from suffocation. Hence a perfect kitchen is a unique combination of space, its utilization and facilities established that can give pleasure while working in the kitchen. 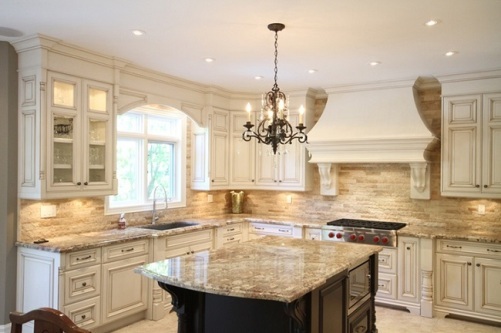 There are people who love to have more of natural light in kitchen and hence love to have a window in the kitchen also. The country kitchens therefore can be nicely designed considering the personal requirement of the user. In many cases people prefer to have a combination of store room and kitchen which makes them store the things in different cabinets. For such design, there must be cabinets designed in a way that can accommodate these things. The design of these cabinets can be chosen from a lot of designs available with the designers or architects. While installing units, the best way to enhance the functionality of the kitchen, is to include wooden worktops and kitchen units made of wood. The country kitchen is something most important for those who love their home and hence need to be focused much while preparing the design of the same. One must first research about the requirements and available designs. If possible one can also go for a little survey that can be much helpful to choose a perfect design for the kitchen. Getting modified ideas for the country kitchens has become quite easy, as you can search from online kitchen design catalogues, or consult with the service professionals, before you invest in the country kitchens.